UPDATE: The V.2.4.0 patch is now live! You’ve probably run into a few issues playing Fortnite this past week. We’ve since solved a lot of those issues. We know this is affecting a lot of you and are working to resolve this as quickly as we can. We greatly appreciate all of your patience and understanding. As a token of our appreciation, here are some goodies! Find out more here. On top of that, V.2.4.0 brings in bug fixes for Battle Royale and some fun new additions for Save the World. Amaze your friends with stories of past adventures around the Cozy Campfire, or try out the new Expedition types! 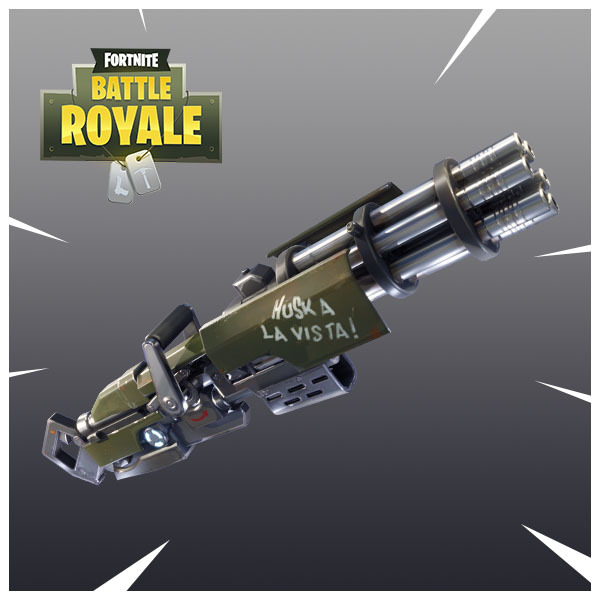 Introducing the Minigun! Control the battlefield with sheer firepower with this new addition to Battle Royale. Heal yourself and allies with the all-new Cozy Campfire addition to Save the World. Stay warm and healthy as you share stories with your friends around it. Fixed an issue where some users would get unnecessarily long queue times while logging into the game. Fixed an issue where some users would have to wait in line additional time after their queue timer completed. Reduced drop chances of Epic variant by 20%. The range goes between 640x360 and your selected Display Resolution. Using a lower 3D Resolution may greatly improve frame rate. Colors may look slightly different. PS4 Resolution is significantly lower than it has been in the past. You cannot open the pause menu if you go into the DBNO state while in build mode. Context Sensitive menus are live! More options are available when interacting with items in the Hero Squad, Survivor Squads, and Armory. Schematics and people can be directly added to the Collection Book now! 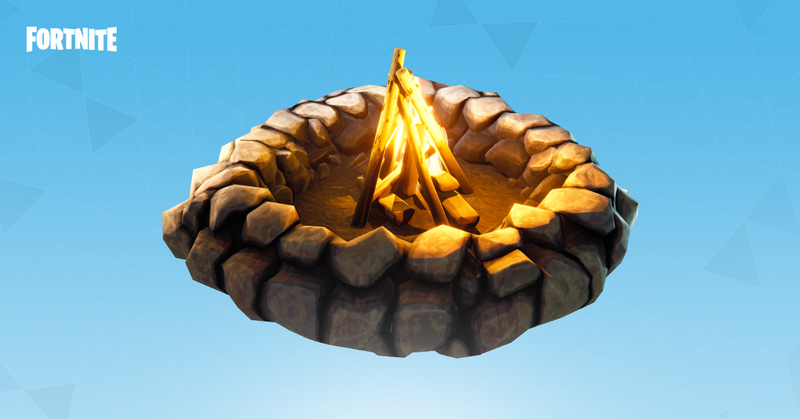 All allied players and Defenders in a 3x3 tile area around the Campfire are healed over time. Lasts until the fire has consumed its Durability. The Cozy Campfire trap schematic is available through the Event Store. People Runs: A free to run expedition that lets you gather a small amount of People (resource). Trap Runs: These expeditions will let you gather traps through expeditions. Balancing changes on some existing expeditions. Improved rewards, with slightly lower power costs. We’re continuing to iterate to make this better! Please tell us what you think! The rate of fire on the Plasma Pulse ability has increased and was balanced by decreasing damage, making it more reliable. The Plasma Pulse device also no longer bounces or slides after being placed. The Anti-Material Charge hitbox will more reliably hit enemies in front of the Outlander on startup. Fixed the healing visual effects not properly being removed when a player is healed from BASE M.D. Additionally, the healing effect is now periodic instead of being applied as soon as you touch the affected BASE. Husks from encampments will no longer spawn under the terrain. Fixed problems working with the in-zone transfer UI for severely overflowed Storm Shield storage. Please note: In a near future release, it will not be possible to claim expedition rewards while Storm Shield storage is overflowed. Respecting the storage limit is important to protecting player items. Updated the frag grenade tooltip to reflect the recent changes to Keep Out and Cluster Bomb. Cluster Bomb: Releases 6 cluster explosions around the impact site that will each do 25% of the original damage. Keep Out! : Leaves a residual energy field, doing 15% of the initial grenade blast damage every 1 second, over 10 seconds. Update the Cardio Feedback perk tooltip to properly display the base healing amount of 15 instead of 13. Removed a few llamas from the store rotation: Double Llama, Fiver Llama, Six Pack Llama, Niner Llama. The 3, 7 and 10 versions of this Llama still exist. This was done to focus on a smaller number of variants of this llama type. Rebalanced the amount of starting ammunition for ranged weapons when picked up in the world. They now appear differently in-game once placed. Let us know what you think! Players are sometimes unable to select card choice when opening an Upgrade Llama. Items in the collection book cannot be evolved after leaving a zone. When inspecting an item located in the players inventory the display image may not appear properly. Dropped items may appear invisible to players, this is rare and the item can still be picked up.